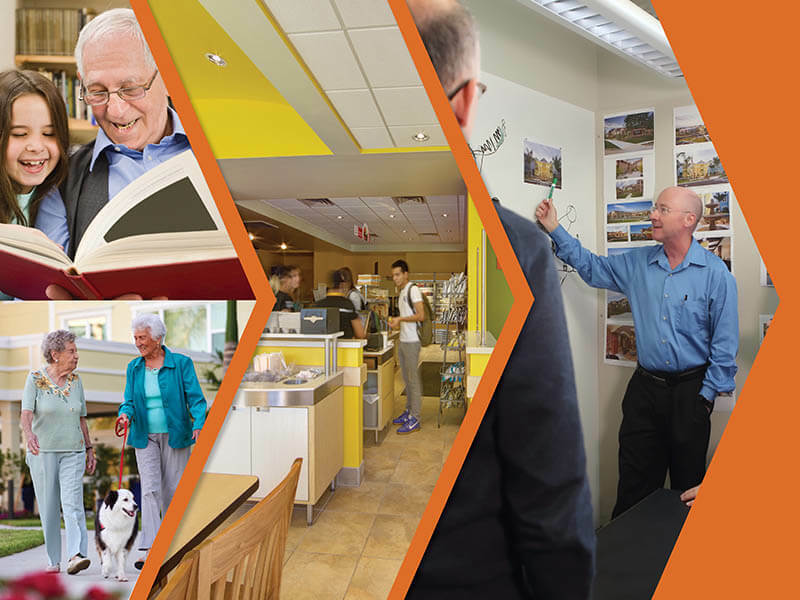 From international approaches to senior living and interesting multigenerational experiences to innovative products, we want to continue to explore ideas that focus on places where people live. We have established three mantras to help guide our design process, to help push ourselves and our clients further. We look forward to discussing innovative concepts and a world of possibilities as we develop the right design solution for your current project or future community. As communities make decisions regarding their approach to addressing the definition of the modern CCRC, it is not just about which renovations, additions or building projects to tackle. They need to consider the programs and services necessary to truly make these physical spaces a success on campus. Leaders in the senior living industry continue to look for ways to improve the lives of our ever-growing senior population. 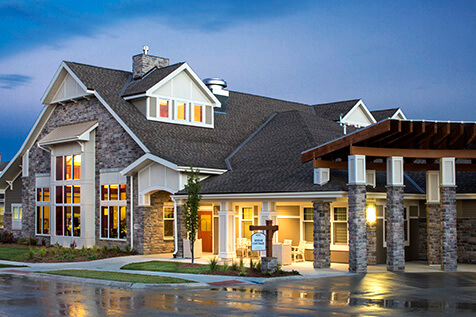 As these leaders focus on the future and take note of this specialized demographic, the approach to senior living design continues to evolve. 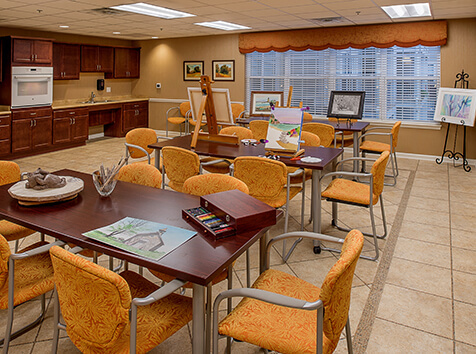 Aspects of hospitality design are being applied in senior living communities in order to elevate the resident experience and infuse a vibrancy that supports an active lifestyle. 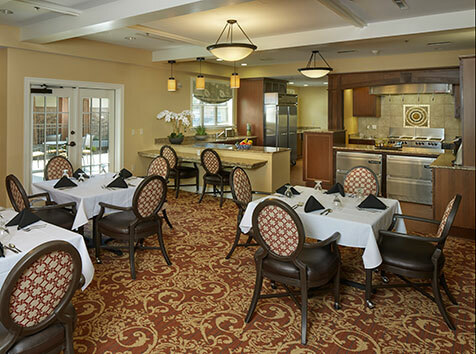 And in skilled nursing, elements of residential design continue to be explored in order to ensure that residents who need an increasing level of care can receive that care in a comfortable environment that truly feels like home. Senior living is changing as fast as seniors themselves. The level of service and care that you provide your residents today may not be enough to entice your next generation of residents. In Part I of this series, we learned that forward-thinking leaders are focused on transcending market expectations. They are keeping a close eye on market trends to ensure they don’t fall behind the competition. From assessing the condition of their physical plant to building consensus among board members and community residents, they are firmly planted in the present while preparing for the future. 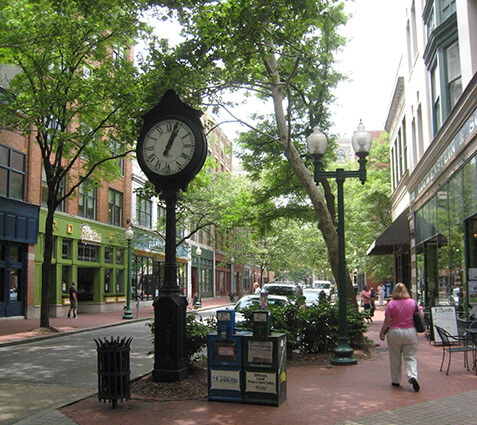 Can Senior Living Learn From Walkable Urban Environments? 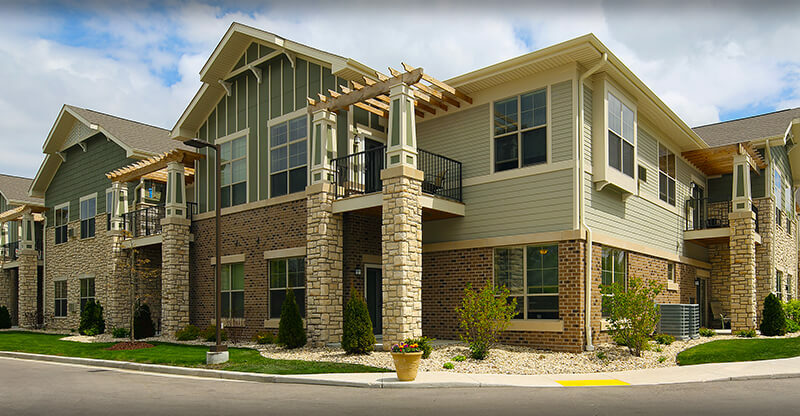 I have been fascinated by the continuing evolution of the kind of building typology we have historically used for Continuing Care Retirement Communities. 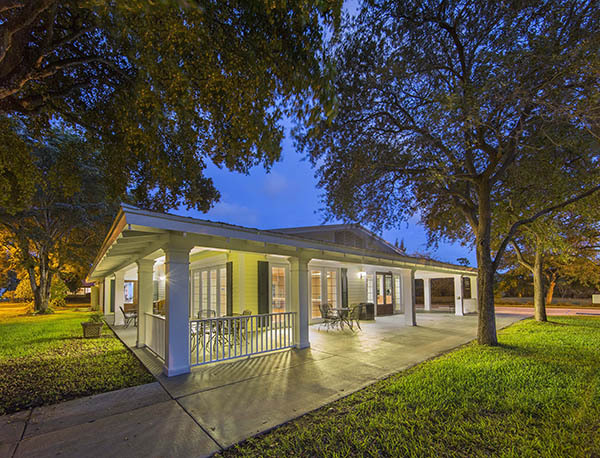 These communities originally consisted of a collection of multi-family residential wings and sprawling old-school single story skilled nursing wings.